Poland coach Adam Nawalka pledged to push Colombia towards the World Cup exit door when the sides meet in an "intense" clash on Sunday even though influential defender Kamil Glik remains a doubt. A 2-1 defeat to Senegal in their Group H opener has left Poland in desperate need of their first three points of the tournament at Kazan Arena. Colombia, who reached the quarter-finals for the first time in Brazil four years ago before bowing out to the hosts, are in a similar situation after a 2-1 defeat at the hands of Japan -- they were forced to play with 10 men for almost the entire game. Nawalka praised Jose Pekerman's team but said their "individual and collective analysis" of the South Americans meant Poland, despite appearing in their first World Cup in 12 years, were destined to win. "Colombia are an excellent team with an excellent coach. They've been together for a long time and been prepared tactically well for a long time," said Nawalka. "They were seen as one of the favourite teams coming into the World Cup so I'm expecting a very difficult match, a very intense match. But I have to emphasise that I believe we will emerge victorious tomorrow." 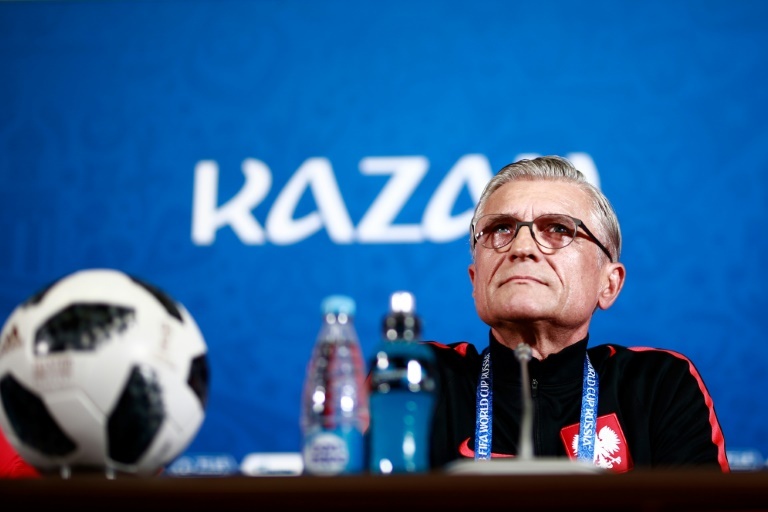 Asked why he was so sure, Nawalka said Poland had carried out detailed analysis of their opponents but what was more important was what his own team would do on the pitch. "We're going to play creative football and I'm certain we will do enough to win this game," he said. Nawalka believes a mix of stylish football, mental attitude and Polish anger will combine to help send Colombia home early. "I've seen the team energised since the Senegal game and when they're angry, they're more motivated to do even better," he said. Poland have failed to keep a clean sheet in their past nine World Cup matches, including their latest defeat to Senegal, which gives Colombia's front men hope. Influential defender Glik missed Poland's opening match against Senegal due to a shoulder injury. Colombia can boast Monaco striker Radamel Falcao, appearing in his first World Cup, but there are doubts over James Rodriguez, who played only the last 30 minutes against Japan. Winner of the Golden Boot in Brazil four years ago, James was Colombia's star on their way to a historic place in the last eight. "We know all about him (James) and what he can do," said Napoli midfielder Piotr Zielinski. "He's played at the top level for many years and he's the Colombians' driving force. But he's not the only player on the pitch."